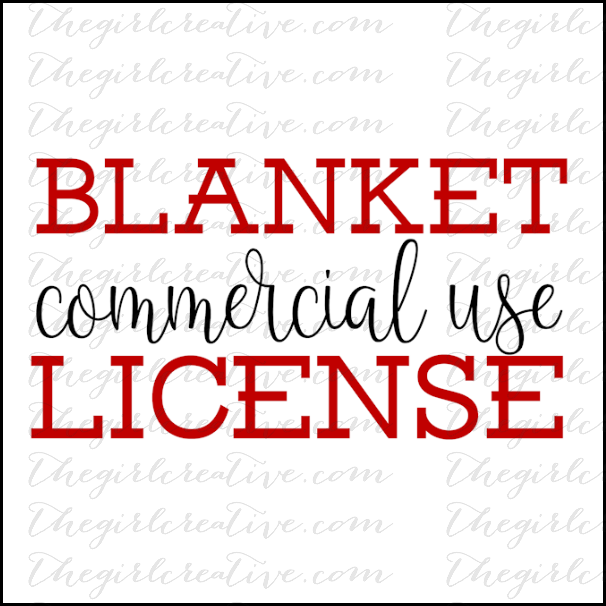 This is a blanket Commercial Use License. This ONE TIME purchase allows you to use ANY of our downloads in the specified ways without crediting The Girl Creative. This license is one per customer, not one per design. This license does NOT transfer copyright ownership of these designs. Copyright belongs to Diana Miller (The Girl Creative).